This trade show style event, open exclusively to REALTORS gives builders, remodelers and developers the opportunity to showcase their homes and communities to hundreds of Central Florida Real Estate Professionals. 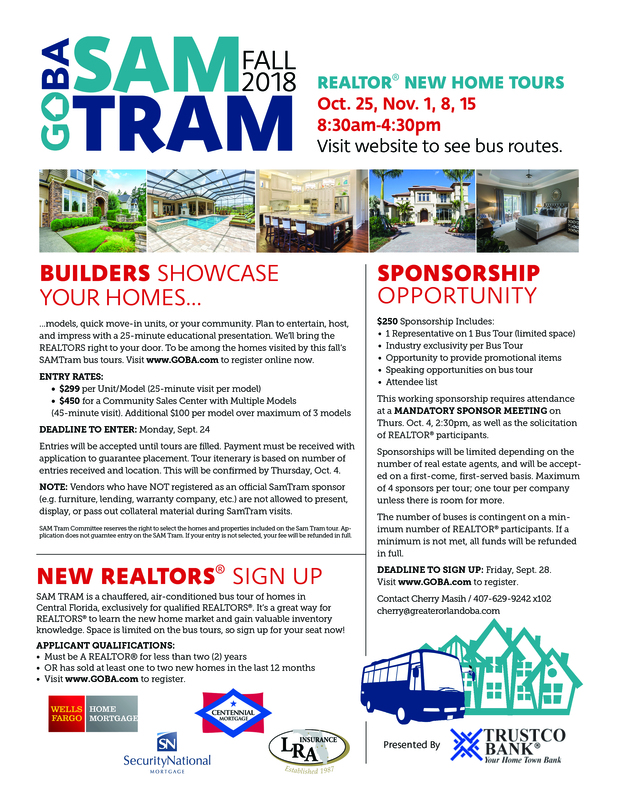 This popular Fall event is exclusively designed to showcase the best New Construction Homes and Communities to Central Florida Real Estate Professionals by taking them on chauffered bus tours to tour model homes, quick move in opportunities and communities. 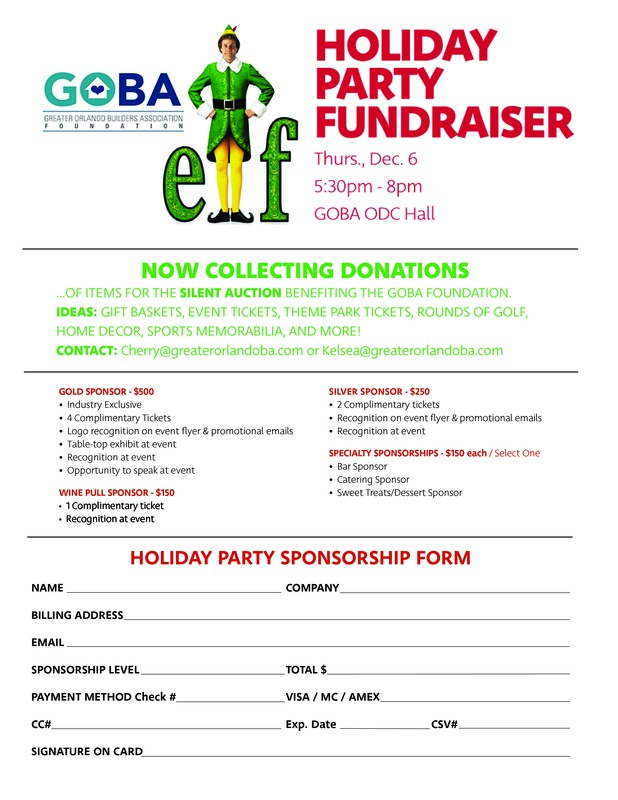 As one of GOBA Foundation's fundraisers, the Holiday Party helps to raise funds for organizations that help children and families in need, and is responsible for donations of over $1 million to youth-related charities and scholarship funds across Central Florida. It has a separate and distinct Board of Trustees and is a 501-C3 tax-exempt organization. All donations to the Foundation are tax deductible. As a GOBA member you are eligible to receive a special discounted promotion from GrowthSpotter. © Copyright 2019 Greater Orlando Builders Association. All Rights Reserved. Site provided by GrowthZone - powered by GrowthZone software.